While visiting my favourite rugby forum today I was pointed toward an interesting article by Malcolm Gladwell in The New Yorker. Entitled “How David Beats Goliath – How underdogs break the rules” he looks at how an a-typical group of middle school girls went to the national basketball finals on playing defence that was well within the rules, but often not seen as ‘fair play’ at that level. He presents an interesting case that there are countless episodes in history, as well as sport, in which the underdog has emerged victorious by stretching the accepted rules of the game to focus on particular strengths and hide potentially destructive weaknesses. The person who posted the article asked if there was anything like the full-court press employed by the girls’ coaches that exists in rugby. Not only could I think of a few, but it reminded me of times when I’ve acted in much the same way. I coached high school girls for a season and I – controversially at first – declared that we’d have no plays as I knew from experience (ages ago myself, and seeing people still do it) that teams spend hours on them a week and rarely use them by comparison, and less so use them effectively. I made sure that scrums were safe, and that we had three different jumps in the line out but we put those to bed quite early in the season as well, only ‘practising’ them during team runs for a few mintues at time before moving on. Attack spaces, not faces when out wide. Attack the branches of the tree, not the trunk when in tight. Our defence was well organised and we opted to steal the ball from the tackle rather than waste energy on rucks already lost. This usually resulted in us having more defenders standing than attackers, allowing us to double team or attempt intercepts on the next tackle. We won city the city finals and only lost the regional final, which would have sent us to provincials, because I was forced to play last year’s stand-out no. 8 who’d been out injured most of the previous month and who hadn’t really caught on to the game plan. In hindsight, I should have just stuck a random back in her place as the team would have defended well enough, but it was her constant taking the ball up herself and not getting it to the players in wider positions that killed us and cost us turnovers. I only blame myself for that as I should have done more to include the injured star in the development of the game plan and to have been more willing to sub her when it was apparent her inclusion was hurting us. 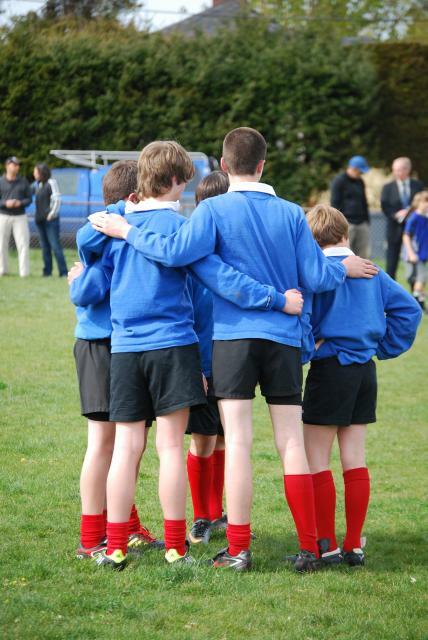 I love coaching at that level not because I can take advantage of other team’s poor preparation and low level of skill – in fact, now that I’m settled in a new job / city, I aim to help other school coaches in developing their abilities to teach their kids better rugby. I find girls more receptive to new ideas and are quick to adopt them wholeheartedly. Even at the university level, I’ve seen women latch onto unorthodox strategy meant to mask their weaknesses and boost their strengths. I’ve found teenaged boys and men less receptive to new ideas. I’ve even got more ideas I want to try. When I go back to the youth level next season, I’m also going to try re-starting attack in open play more like they do in Rugby League – having a forward or two (or all!) act as dummy halves, passing to the scrum half standing close by (because most youth scrum halves can’t throw the long passes) to play to fly half a little wider out. I feel my rationale is sound for all teams at this level. With everyone now adopting the tight post / guard defence around the ruck and maul, there’s very little room for a fly half to operate at the length of most scrum halves passes. With more defenders standing out, rucks are more easily won, allowing one forward to pop the ball out to a slightly-wider scrum half. The All Blacks do this a fair bit when Piri Weepu is playing 9. It’s easy to try unorthodox strategies and tactics like that in relatively inexperienced environments. I had the fly half of our team kick a high ball on the first play to see how good their full back was, opening the green light for kicks later if she was obviously weak / team tracked back poorly (though we were great with ball in hand so didn’t often have to use that tactic). I’d also challenge the girls to go for double hits quite regularly; first tackler low to stop forward momentum and the second high to steal the ball. This was adopted knowing full well that girls tend not to get the ball wide quickly, but also accounting that many of ours weren’t strong individual tacklers. These tactics can be employed at higher levels as well, with proper training and total buy-in from the players. Girls can be prone to getting caught up in a static maul, giving a turnover because of poor initial body position in contact and lack of brute strength to ‘rip’ out of a double hit. Ireland’s men’s team has been quite successful at this over the past year. So much was the belief in their tactic that they even surprisingly took it to one of the best ‘wide’ teams in the game – Australia. 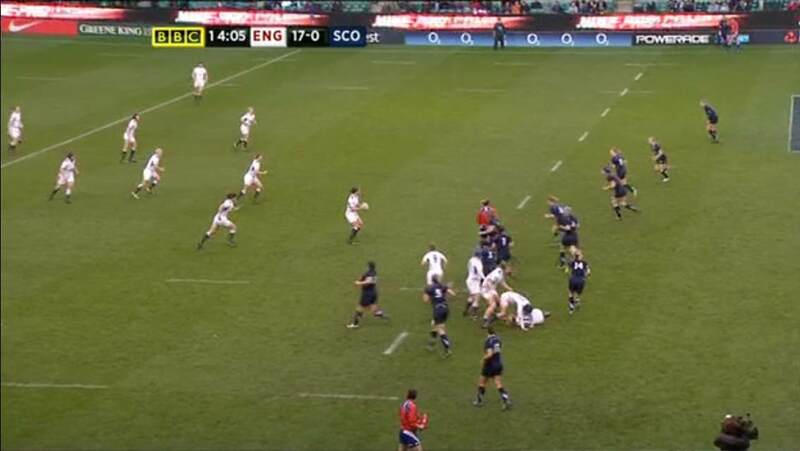 A conservative approach would have seen the Irish play more man-on-man and not risk putting two or three defenders on a single ball carrier, who’d be more likely than most teams to pass before contact into space. Australia should have recovered at half time, but opted to kick away possession rather than simply pass before contact and Ireland scored a famous victory. Australia suffered from the “rush state” that Rick Pitino talks about in the article – they panicked and clearly didn’t think their way out trouble. It’s a great example of changing the ‘rules’ a bit at the highest level, having total commitment to a plan and playing to strengths. Bringing in the rush / blitz defence from League is another that reminds me of the full-court press. Not all can do it, not all want to because the risks can be higher than the rewards, but some – like Wasps and Wales – have won championships on it. I think the key for any such strategy is the buy-in from the players, and possibly even basing it upon a perception – or myth, even! – that fuses the team together. The girls b-ball coaches in the article seemed to have all the girls on their side because of the respectful way they were treated. They fully committed to the game plan and seemed to revel that they weren’t like a typical basketball team, being under-sized and under-skilled. Such was the case with the young ladies that I coached, most coming from working class and/or immigrant families, revelling in beating the city’s rich kid schools (I didn’t ever bring that up, but I knew it was on their minds). They also seemed to feel extra special after our first league win, realising that ‘no plays’ didn’t matter. Having been a London Wasps fan for many years, it seems to be the same for them. During their glory years, they possessed a unified team culture based upon the perception that they were the underdogs – especially where finances were concerned. They won several domestic and European titles despite not being rich enough to buy big stars, and instead developed their youth and embraced other team’s misfits and rejects, together buying into a game plan which matched their strengths and masked their weaknesses. Thinking of the teams I’ve coached over the last 14 years which have been most successful, it was that unified team culture that was the common factor in each.